My final frames in this Glasses of the Week series are very different. They’re blue. Blue! I’ve never been a fan of coloured frames, always preferring to stick to classic blacks or browns. But in the spirit of ‘trying new things’ I decided to give them a go. Go hard or go home and all that. 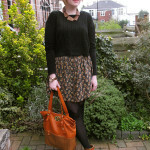 For fear of looking like a children’s TV presenter, I kept my outfit simple and classic. A cute and colourful dress, a statement necklace and some leopard print flats pull in the colour of the frames without making too much of a fuss. Timmy Mallett, eat your heart out. 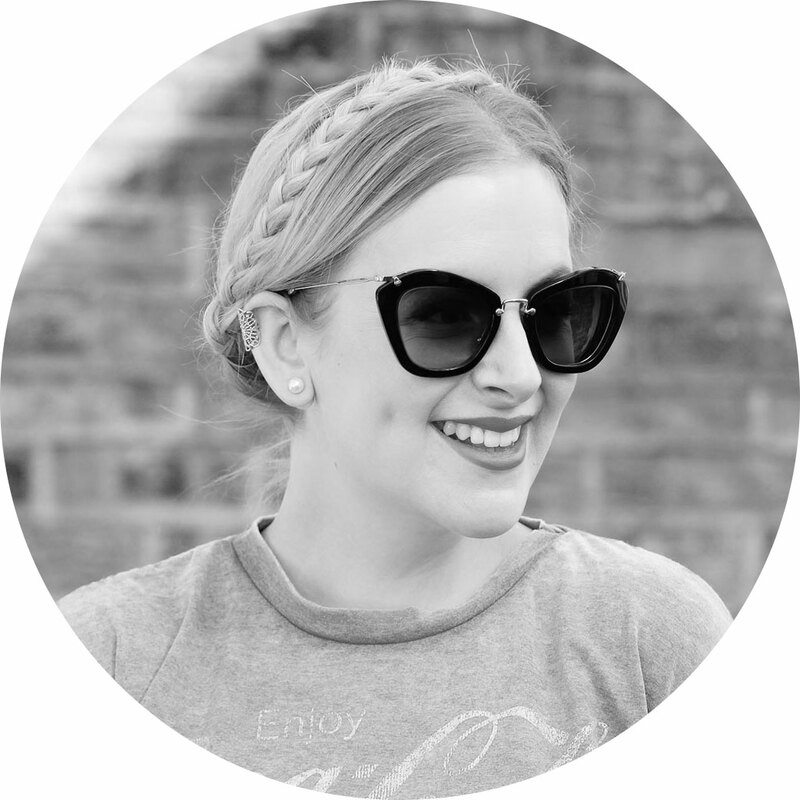 I’ve had a great time styling up glasses with Swag & Stare – after wearing the same classic black frames for two years, having a few different spectacle options has made me more adventurous. And although they’ll always be a necessity, it’s helped me realise that glasses can be an accessory as well as essential vision-givers. 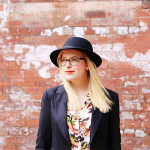 Have you enjoyed my Glasses of the Week series? Seen any specs you love on Swag & Stare? Those frames really suit you! Please hop over to my blog and enter my BLOG GIVEAWAY for the chance to win soap and glory products and more. OMG!!! i seriously need those glasses!!! 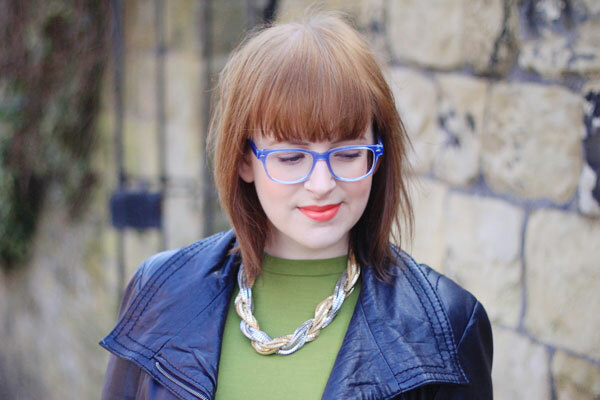 really great colour and style – not my usual kind of glasses but they definitely look great!! You pull off glass so well! “For fear or looking like a children’s TV presenter…” made me smile. 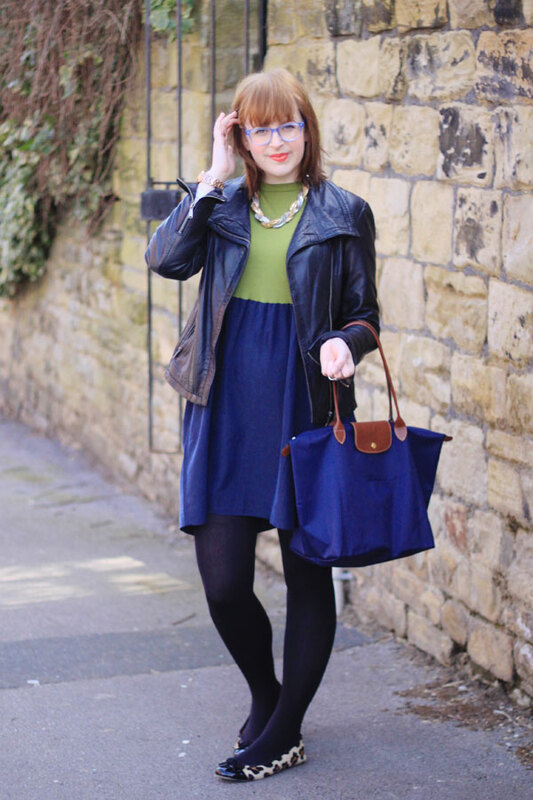 Love the outfit and the blue frames are fabulous! Spring Sale now on at LOVE FROM MISBEHAVE! The blue looks great with your hair. These are great if you just want a bright accessory to liven up a monochrome outfit. I’ve really enjoyed the series, even though I don’t wear glasses! The blue looks really good! Who’d have thought? One of my favourite pair of frames is green, so perhaps it shouldn’t be that surprising. That bag is absolutely gorgeous! And those glasses are pretty too, love the colour! You have the cutest glasses! These glasses are lovely, the colour really suits you! 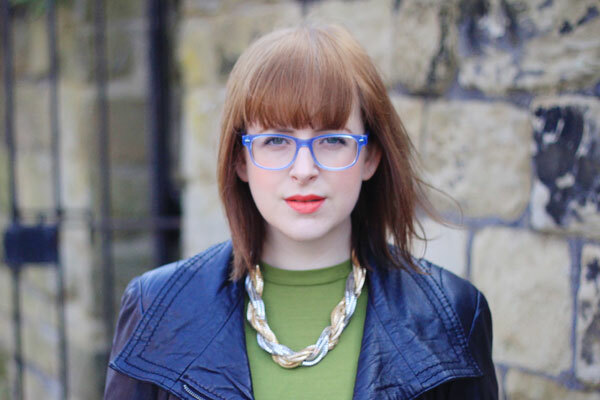 I’ve always tended to stick to brown and black glasses too, although I have recently ventured into a dark purple pair… still not exactly an adventurous colour but I’m getting closer! This is such a beautiful blog. Love the name. So lovely and beautiful,both the glasses and your style of wearing it. Really love the blue frames on you, they bring out your eyes! really great colour and style good kind of glasses and all this do that be a definitely look great!! Pics are pretty. I like reading this blog. Thanks a lot for sharing.